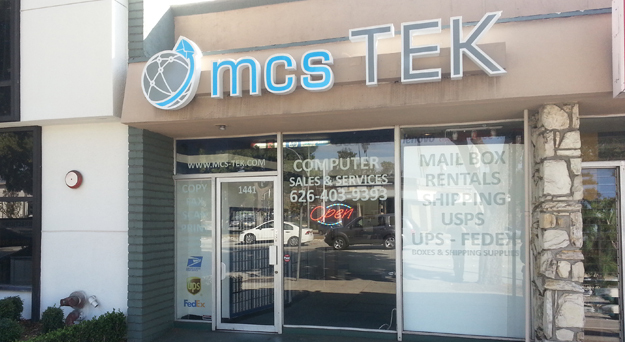 Here at mcs-TEK, we provide you with alternatives that will meet your shipping needs — large or small. For your smaller items we offer a full range of carriers: FedEx, FedEx Ground, UPS, DHL and US Postal Service. Too big or heavy for the traditional carriers? No worries, we also offer a number of freight options including FedEx Freight and UPS Freight! We are commited to building only high quality computer systems at a competitive price and providing the highest level of customer service. 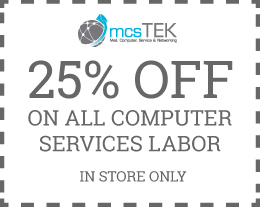 Our experienced and knowledgeable staff, are A+ certified technician and Microsoft certified specialists. For offer-click on coupon to print and bring to store. One coupon per customer, per visit. Only coupon offer shown above will be honored; no alterations or changed copies please.